In today’s episode, we’ll be discussing the 5 best experiences for afterlife evidence. And I’ll share with you my own experiences with a few of them. I’ll also talk about my experience losing my father 19 years ago versus my experience losing my father-in-law last year — and how different those two experiences were because of my experiential research of the afterlife. Also in today’s episode, Ellen shares her near-death experience, which I comment on. 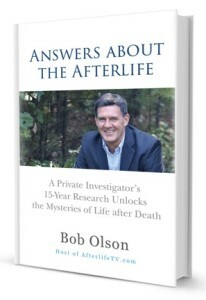 And I’ll answer a question from my book, Answers About The Afterlife, about how we can best understand the afterlife. We’ll also hear a story from Joe about his incredibly spot-on communication from his wife in spirit. And, at the end, another true story and cautionary tale from my life about how what we believe can truly become our reality. Thank you for all of this that you have done and are continuing to do. I have been an avid follower for a long time now. I love it! I’m not sure that was his first sign, but it was a well-timed one. Thanks for listening and sharing what you loved the most. Yes, this is a great place to leave a comment. I replied to you on Facebook too. That’s funny coming from a radio guy. I didn’t expect it would grow our audience, to be honest. That was a happy accident. The main reason for the change was that 1) I can’t edit the video quite as easily or smoothly for the individual segments, and 2) more importantly, me interviewing others allowed others to teach, but I’m called to teach now rather than merely ask questions. So the real change was in me, and the format simply fit the change. I hope you’ll have enough things to do to stay with us. 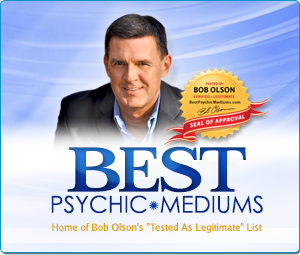 Hi Bob do you still do the show? I havent seen anything new in months. I’m still doing it. I had to take some time to write my next book. Stay tuned. Thank you so much for your show. I’ve learned so much about this most fascinating subject! Bless you and Melissa too! I just finished listening to your latest broadcast. I’ve been eagerly waiting for it. I really enjoyed your description of stages of going from non-believer to understanding the big picture. My housemate and I are currently hosting a book group that consists of reading books of a spiritual nature. 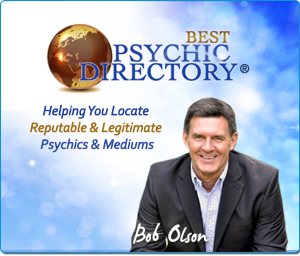 We’ve chosen authors based on your recommendation – Brian Weiss, Dr. Newton, Annie Kagan. For some in the group, there is still resistance to this subject/possibility. 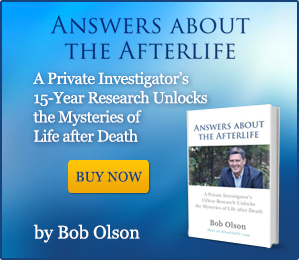 I think your description for experiencing afterlife evidence is just what we need. At our next meeting in May, I will play this portion of your program for them to hear. That will promote a good, in depth discussion. Thank you for doing this. I eagerly await your next show. That’s really nice. I love that idea. Thank you! Melissa and I were just at the Palace in Manchester last night (Wednesday) watching a medium demonstration (like I discussed in the show). There will be another demo there in May with two mediums. Thanks for telling me about this. Hi Bob, thanks for putting my story on your show. In answer to Linda’s comment, it wasn’t the first sign I got. I have had quite a few. I’m too lazy to write them all down here. But it was the balloon story that convinced me that these are not just coincidence. I am surrounded by skeptical people who tell me it’s all just coincdence and being a little skeptical myself, this stuff is hard to grasp. Thanks to people like you Bob I’m slowly catching on. keep up the good work. That’s what I assumed, but I didn’t want to speak for you. Thanks so much for clearing that up. And people are loving your story. We’ve had a lot of feedback. I think it’s exactly what you said, the coincidence is just too incredible. I’m glad you got that message from your wife to help you believe more. Now you might be more open to others that come from her. PS, I’m still learning the recording system. Your audio quality was great. Can you tell me how you recorded it? Your new format offers more new shows and I love the personal stories. I will miss the video interviews. It was fascinating to “meet” them and watch their reactions as they shared their experiences first hand. I felt blessed and privileged. You are doing a fabulous service to this world in a wonderful way. I am sure you are the “missing link” to many! Thanks! That’s a really kind thing to say/write. Was just watching the video and listening to you talk about when your father-in-law died and I noticed that there was a rabbit on the screen… I had to smile because my sister passed away 3 years ago today. The night she died, as I was driving to her home, I saw a rabbit standing on its hind legs in the middle of the road. It was snowing lightly and I thought, “that’s strange”. From then on, I have received rabbit “signs” from her. I asked her for one today and I got it! Thanks! That’s a great message. It’s so nice to have a particular type of sign, like that, between us and our loved ones in spirit. It helps the communication. So my wife took that photo, as you know, but my assistant puts Melissa’s photos in the video — carefully choosing the best spot to place each one. So no doubt the rabbit was there for you. I love listening to you. Melissa’s photos are the best! My father passed on 9/11/2015.. I had a reading by [a medium] and the first thing he said was “was your father in the Navy”….well we went round and round because he was in for a very short time but he had a Military funeral…Taps was played and they gave me a flag. My dad was famous for singing our National Anthem and [the medium] said he saw American Flags around him. I want to believe but I’m afraid to. Life is joyless now. I’m sorry your lost your father. That medium reading is a good beginning. As I said at the end of the show, “Knowing is a process and not an event.” Have more experiences. 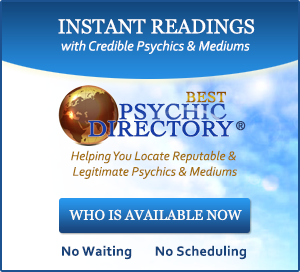 Have more readings even, and with different mediums. And as your skepticism-from-fear grows into belief and then to knowing, you will get your joy back. That’s the thing about fear, it’s a dark place. Love is light. This is why they call spiritual practitioners light workers. Thanks for listening. There are many past shows, so it’s a good way to ease your way into it. What really caught my attention was your emphasizing the importance of multiple experiences. I have had many but always seeking more. However, I get a little frustrated with many people who have had a one or two experiences, really don’t seek any more, but try to explain everything ‘spiritual’ based on very limited experiences. It reminds me of the story of the blind men describing an elephant and they only touch the ear, tail, or foot. Onward and upward! I think it’s a matter of we don’t know what we don’t know. I’ve never heard that story; it’s a good analogy. Thanks Ray! My names Ali I’m a 26 year old from Tampa, FL.I was listening to your podcast kind of on accident last week. I was DEFINITELY NOT looking for any spiritual answers because I simply did not care. While listening I had this sudden understanding and truth that I was not able to question or disbelieve. I mean sudden like i was hit by a truck. I have had to reach out to a lot of people this week because I needed help coping, but I just want to thank you.I wish I could just give you a big hug bob! Well I’m glad the show was there when you needed it. That’s what happened to me too — there was a sudden understanding and truth that was unquestionable. It’s a wonderful experience. I hope life just keeps getting better for you. Thanks for writing. Hi Bob! just wanted to send lots of love your way for doing what you do. You and all the resources have shared have helped me so much to recover from a dysfunctional upbringing. I had so much confusion around god and where we go and now I feel more at peace with my journey. Love your new format, the music, pictures and the gentle tone of your voice are so nurturing for my soul. You are a true inspiration and I love being a part of your community. Big hugs! You’re so very kind to write. Thank you. My best wishes to you. I’m very sorry for your tragic loss. To answer your question, it does not matter what language the medium speaks. 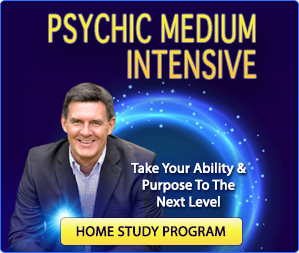 Our loved ones in spirit are able to communicate in any language that works for the medium. I hope it goes well for you, because I was a skeptic once too and now knowing there is an afterlife has changed my life. Hi bob. I love your shows. When are you going to do more? I hope your okAy. I’m well, thank you. Just writing a new book. I’ll be back soon. I was wondering the same thing! I miss your shows, but I’m glad it’s because you’re busy putting down in words what you’ve learned in your investigations. I look forward to reading it and for more shows! It won’t be long now. I’ve recorded some content already for upcoming shows (a couple interviews even), but not enough yet for the first return show. Best wishes to you. I just listened to the program again —– awesome the 2nd time and caught one more thing that was very important for me. You mentioned a person learns/knows more from ‘spiritual experiences’ than they realize. In the last few months I have been flooded with things I didn’t know I knew. So I revisited my many experiences and agreed I learned a little more from that but, it seemed I ‘knew’ so much more. I never recalled anyone I have read indicate this fact. Thanks, some relief! I’m so happy that you were able to recognize it in your own life & experiences. Thanks for telling me. I miss your shows and I am glad to hear that you will be coming back soon. Looking forward to your new book. You have introduced me to many new authors and new ideas, and I am thankful for that. Thanks for your comment. I’m working on them now. I hope you are well. Miss you bob…any idea when you’ll be back? Thank you. Any day now. Probably no later than Tuesday. I’ve been missing you too, Bob. When I hadn’t heard from you via your newsletter these past several months, I thought you returned Home. I eventually learned that you were taking much needed time to work on other projects. I’m so thrilled you will be returning here soon. You and your work have been a tremedous blessing in my life and are needed more than ever in today’s Earth Realm. Thanks for caring. No, I’m still here. I just got a new episode out to my assistants to get ready to go live. Not sure how long that will take as we’re all a bit rusty here. But it will be this week or next. Best wishes to you.